While attempting to increase the realism of training scenarios and finding ways to efficiently reconstruct synthetic training serials both in simulators and at sea, NTDC(A) took advantage of a particular Maritime Evaluation that was conducted with the RCN Distributed Mission Operations Center (DMOC) in December 2017. The future of training is to increase the reality of its execution. Operators of the RCN have utilized numerous full mission simulators, part-task trainers, and emulators since the Second World War in order to develop and hone skills required at sea. Some of the RCN’s current and recent simulators facilitate multiple operations and bridge teams, such as the Synthetic Environment Advanced Warfare Operations and Leadership Facility (SEAWOLF) and Synthetic Environment Advanced Combat Operations Trainer (SEACOT). They, however, require back rooms of operators to execute training scenarios for both individual and collective training. 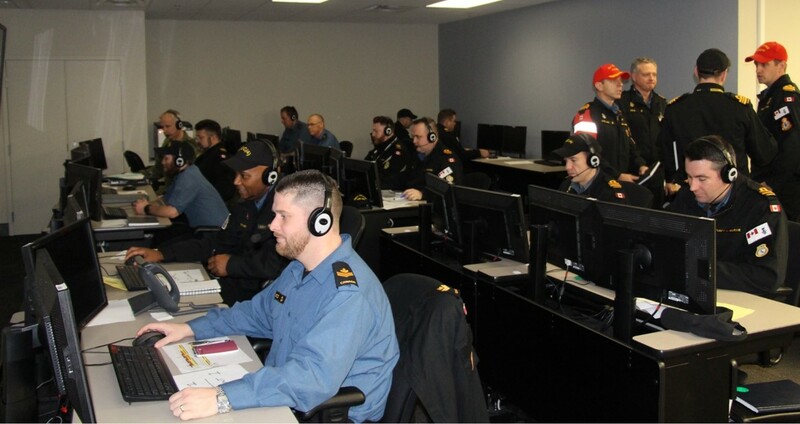 The Naval Training Development Center Atlantic (NTDC(A)), the RCN Center of Excellence for Combat and Deck Operations training continues to trial and assess the latest technology to exploit on behalf of the RCN Individual Training system. While attempting to increase the realism of training scenarios and finding ways to efficiently reconstruct synthetic training serials both in simulators and at sea, NTDC(A) took advantage of a particular Maritime Evaluation that was conducted with the RCN Distributed Mission Operations Center (DMOC) in December 2017. The Director of Naval Requirements (DNR) 5 conducted the Maritime Evaluation to examine the capability to exchange information between the SEACOT and the Submarine Command Team Trainer (SCTT) via the RCN DMOC. Constructed as part of the Canadian Synthetic Environment (CASE) project, the RCN DMOC is intended to act as a hub using distributed interactive simulation, an international protocol standard that facilitates real-time platform-level war-gaming simulations. Set during Exercise Virtual 17, the latest in an annual series of exercises as part of the CASE project, DNR 5 had support from the Naval Personnel and Training Group, the Canadian Submarine Force, the Operations Team from HMCS St. John’s, the Canadian Forces Maritime Warfare Centre, Canadian Forces Aerospace Warfare Centre, and various contractors. 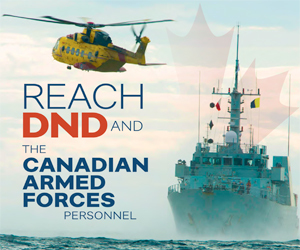 Ultimately the technical objectives were achieved with an enormous amount of data and observations to aid in the development of Distributed Mission Training (DMT) in the RCN. A crew in the SCTT was able to interact with crews in the SEACOT and operators at the Aerospace Warfare Centre using the CF-188 Hornet Mission Support Simulator. 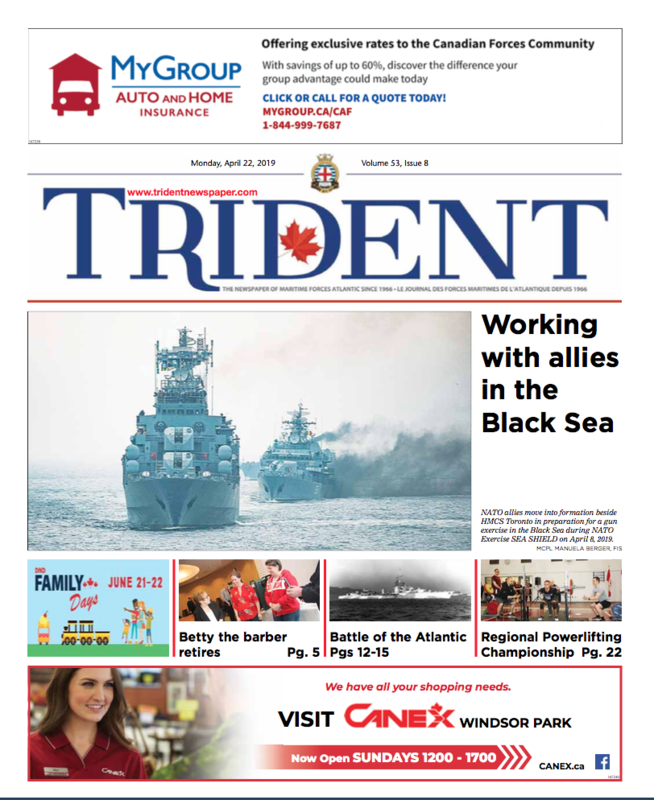 By utilizing a collective training event with HMCS St. John’s Operations Team, an individual training event, the Underwater Warfare Director Course at Naval Fleet School Atlantic, and the resources of the RCN DMOC, NTDC(A) trialed how DMT could be used in individual training and ultimately the development of Technology Enabled Learning (TEL) tools as part of the Future Naval Training System Strategy. From this, processes and procedures on the use of DMT to create 3D training aids, along with interactive scenarios for use by trainees were developed. This work will set the stage for the modernization of RCN training capabilities with TEL networked classrooms and simulators. Technology Enabled Learning continues to be advanced alongside Distributed Mission Training throughout the RCN. Future initiatives will see more simulators and even HMC Ships themselves connecting to a common synthetic environment to enhance the quality and conduct of both individual and collective training.